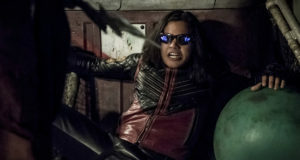 Flash actors Jesse L. Martin and Carlos Valdes talk about the villain DeVoe a.k.a. the Thinker. 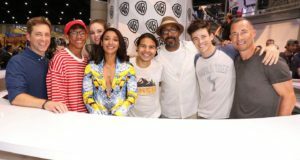 Photos: The Flash Cast At Comic-Con 2017! Photos of the Flash cast signing autographs at the 2017 Comic-Con International in San Diego. 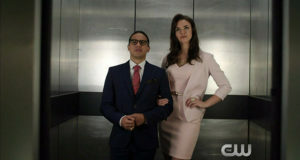 Interview with Keiynan Lonsdale & Carlos Valdes of The Flash as they talk about "H.R." 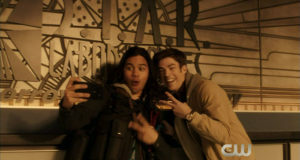 Actors Keiynan Lonsdale and Carlos Valdes preview The Flash Season 3 in new videos from The CW. 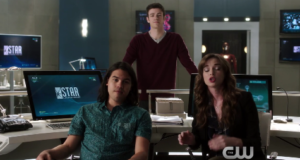 Grant Gustin, Danielle Panabaker, and Carlos Valdes of The Flash starred in a new video promoting STEM education. 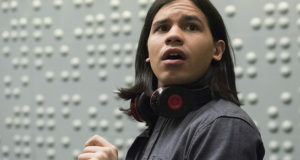 Carlos Valdes (Cisco) talked a little about Flash Season 3 at the MegaCon in Orlando. 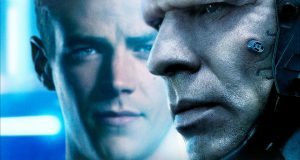 Preview clip for the Flash episode "Welcome to Earth-2"